Fine Super Eyelet in Socks Yeah! Our Super Eyelet shawl is one of our most popular patterns in the shop and on Ravelry. It uses a DK yarn. 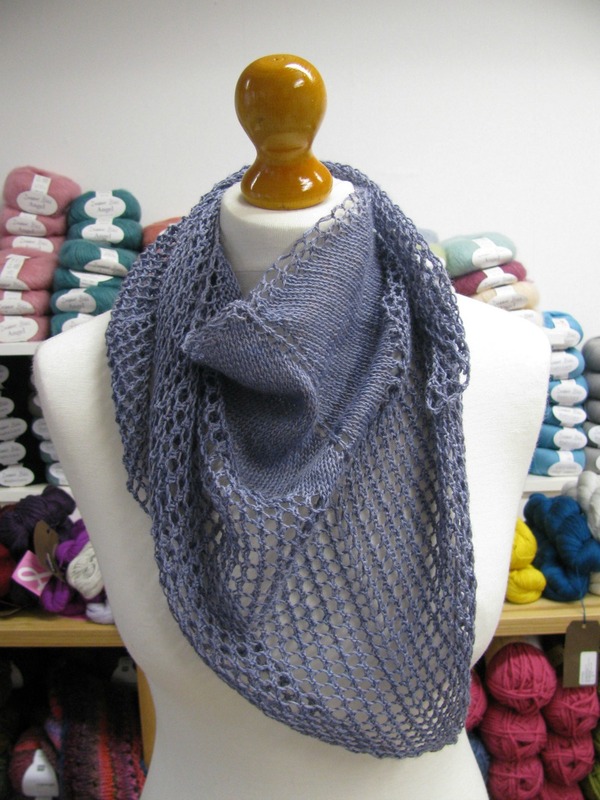 The shop sample uses Louisa Harding's Noema, a cotton/acrylic blend. 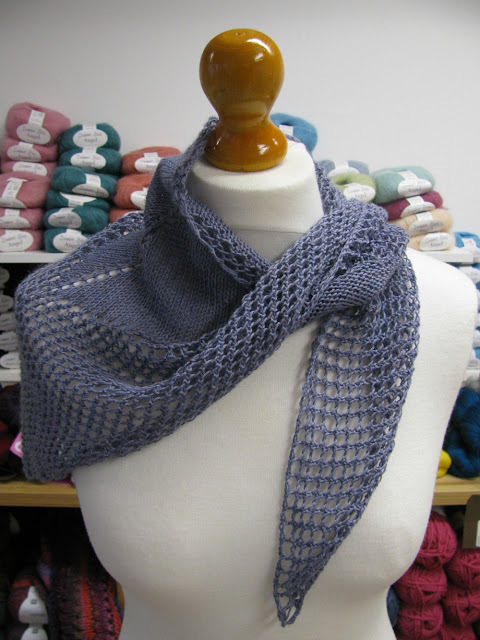 We've now tweaked the pattern (added some more garter stitch) and created a much lighter shawl that's a bit smaller. This one has a garter stitch edge and garter stitch ridges amongst the eyelets (simply because I didn't feel like purling). 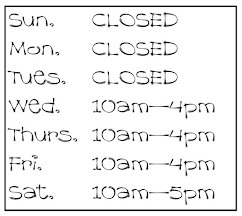 But it is still a good beginners pattern. The yarn is Socks Yeah! And yeah, I can't get enough of it! 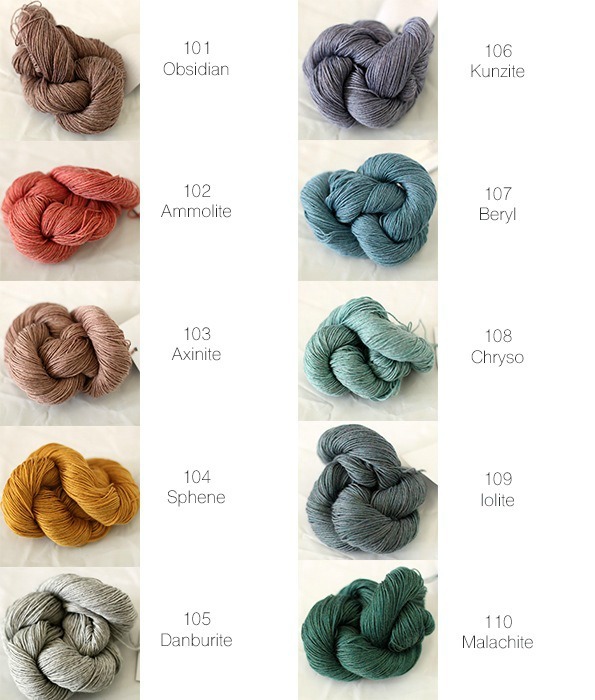 See our recent new shop samples - Solace and Stripy Socks. 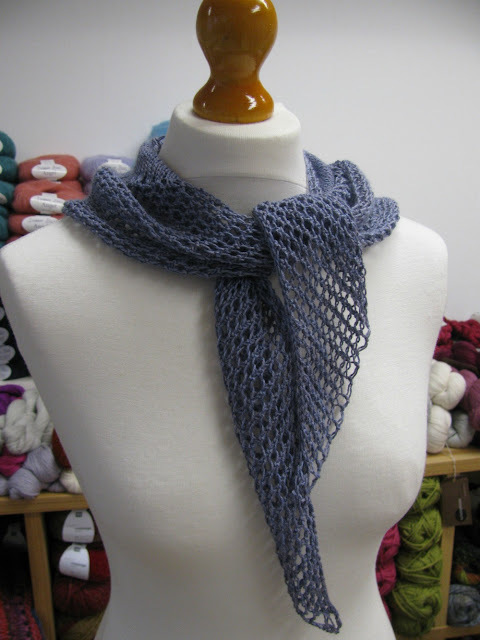 The yarn is very soft and is perfect to wear around your neck! 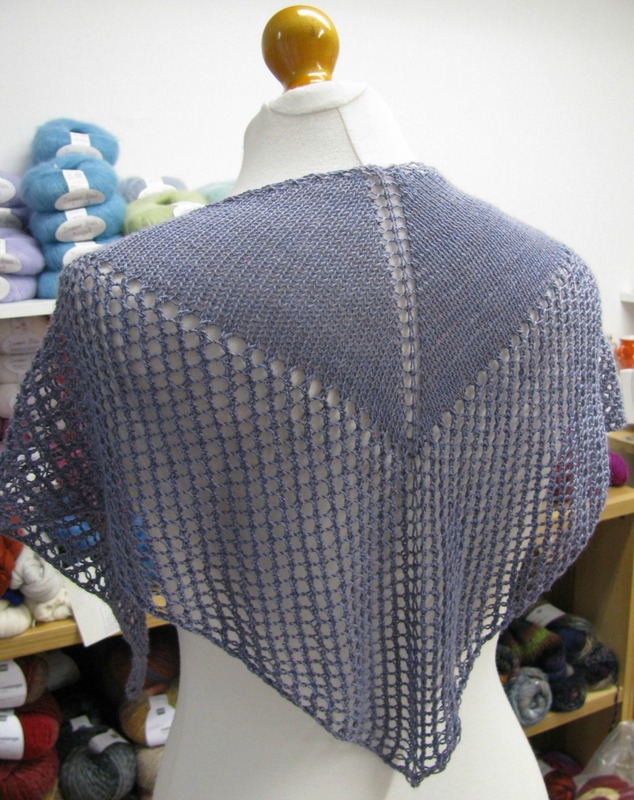 Our Fine Super Eyelet shawl only uses a 50g hank. The shawl is small (40x115cm) but if you'd prefer it bigger simply use more yarn and add more repeats. And because it comes in 50g hanks you can mix and match your colours easily. And what a choice you have! I'm already planning some more stripy things... what about a Fine Super Stripy Shawl...?